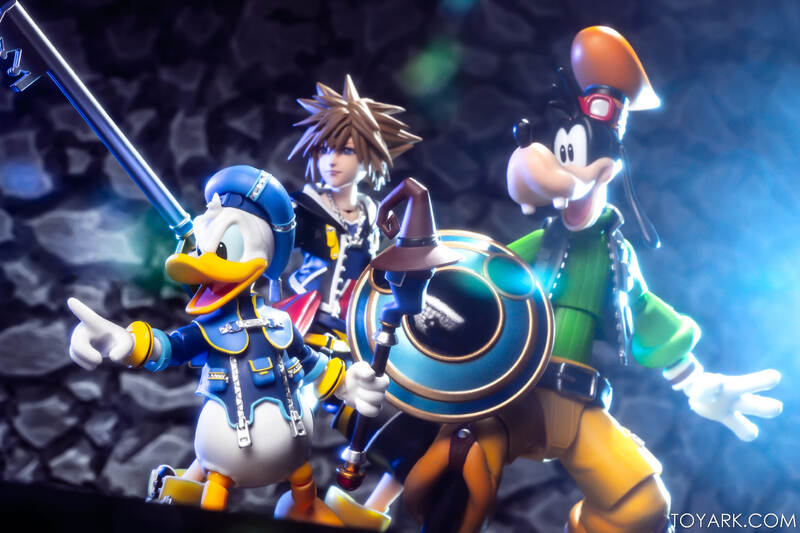 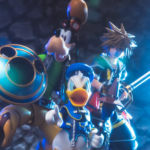 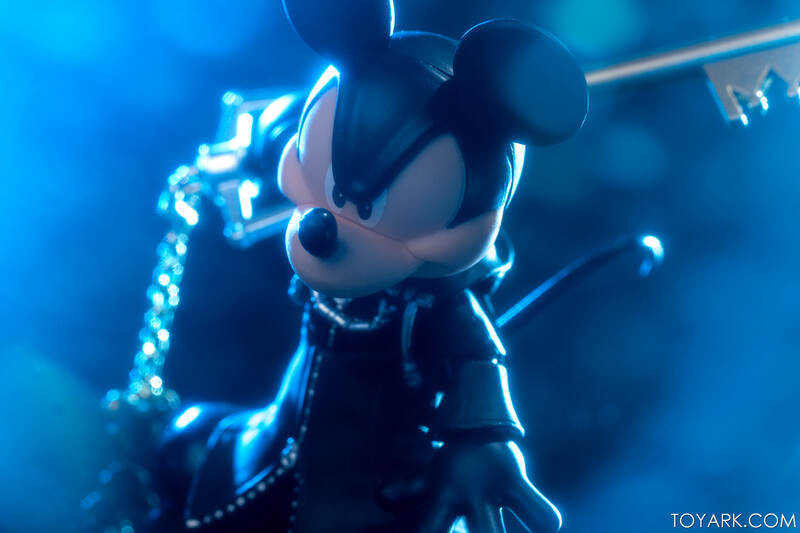 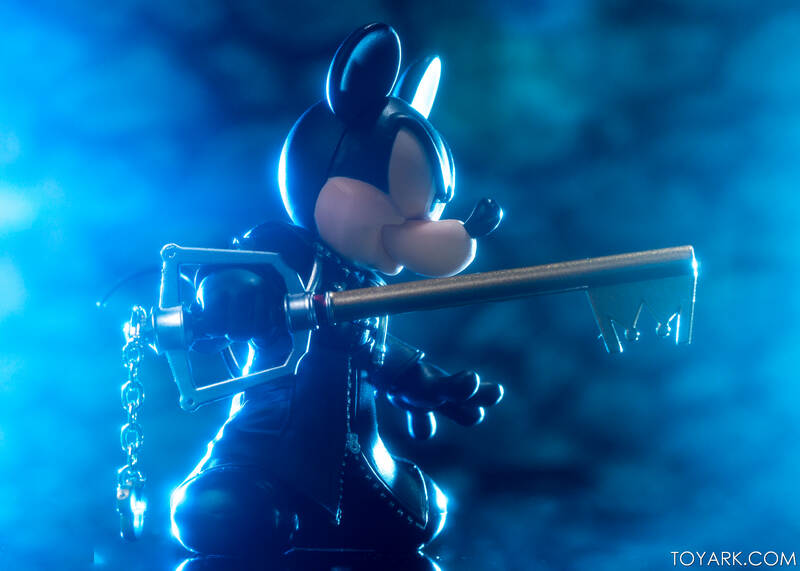 Back to Back Kingdom Hearts galleries today as we take a look at the 2 most recent S.H. 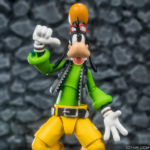 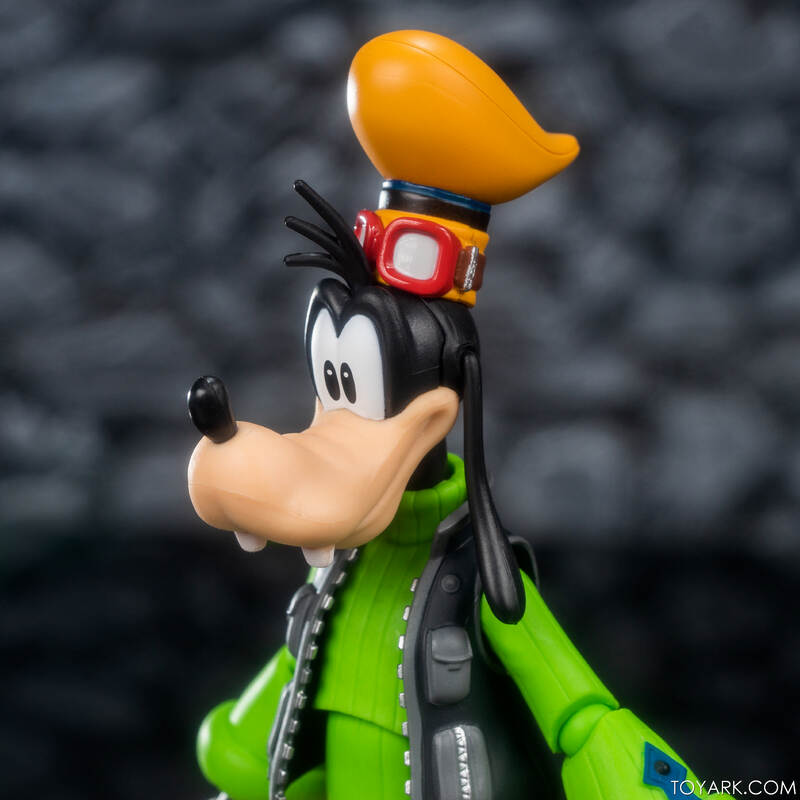 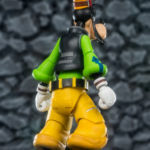 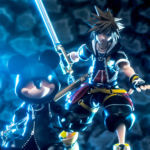 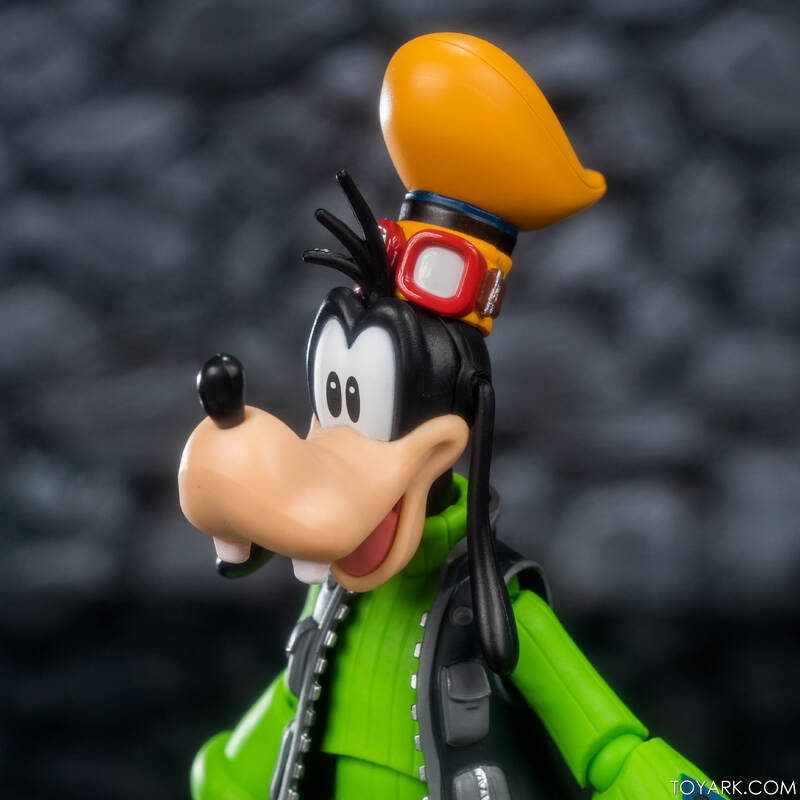 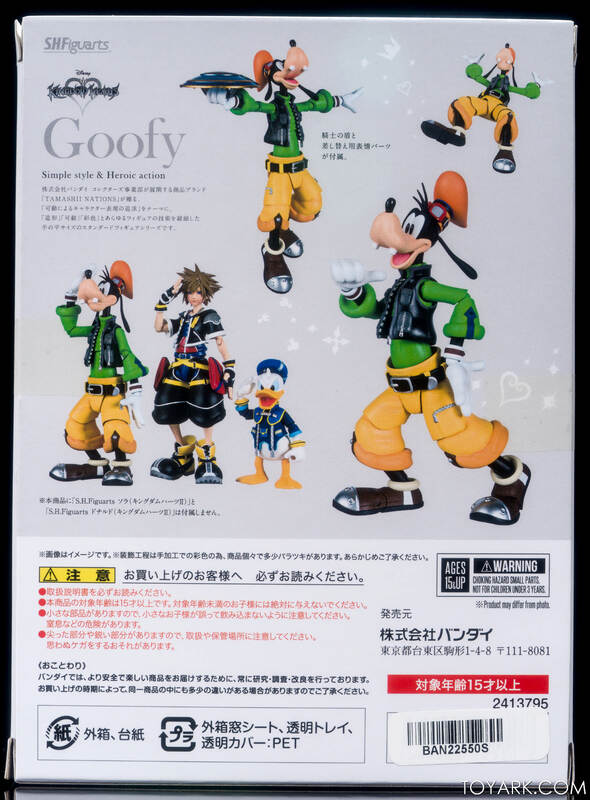 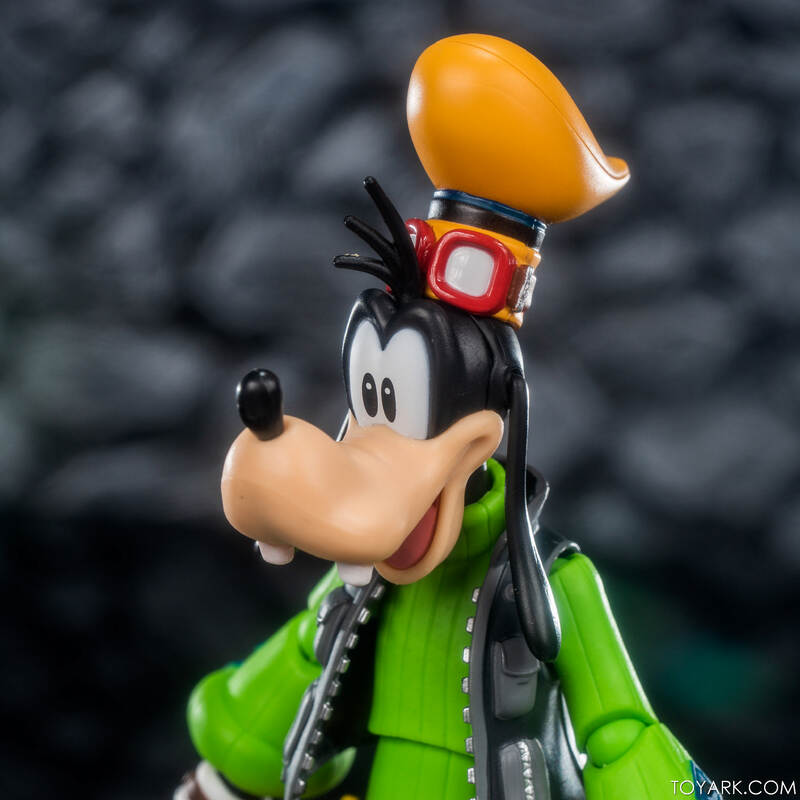 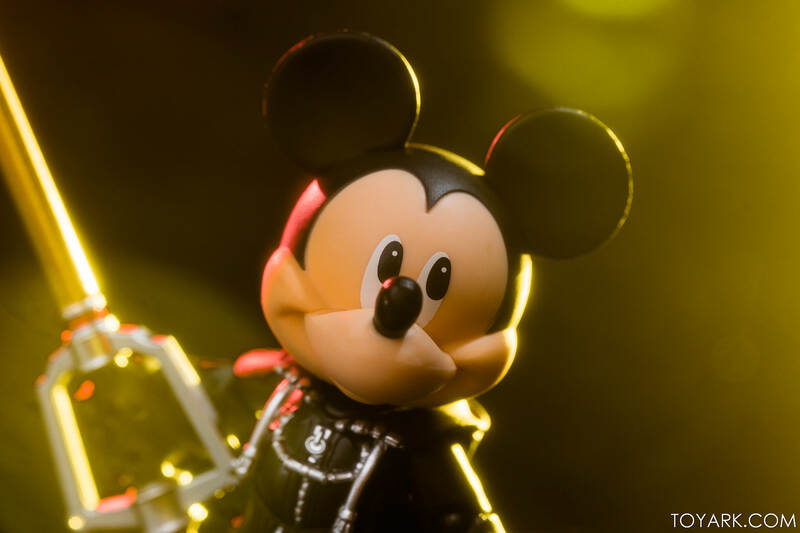 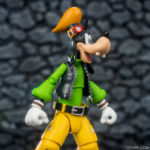 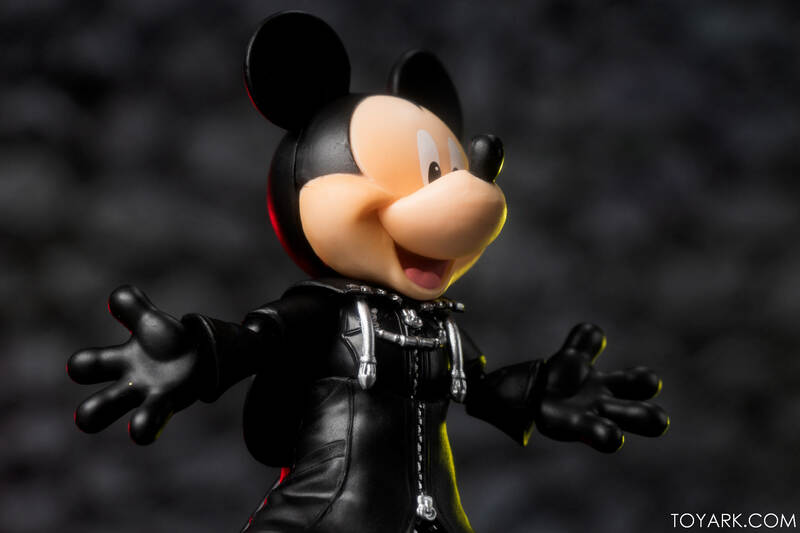 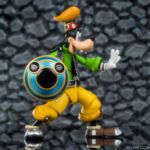 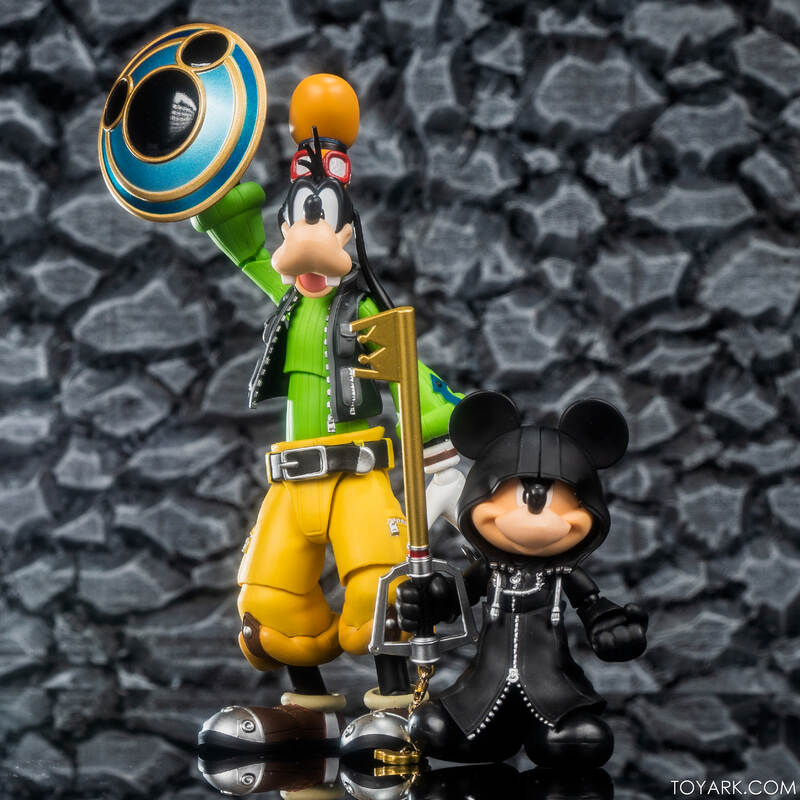 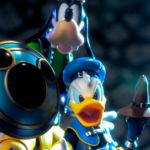 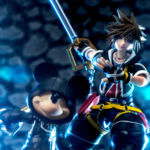 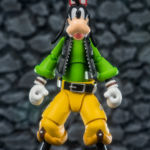 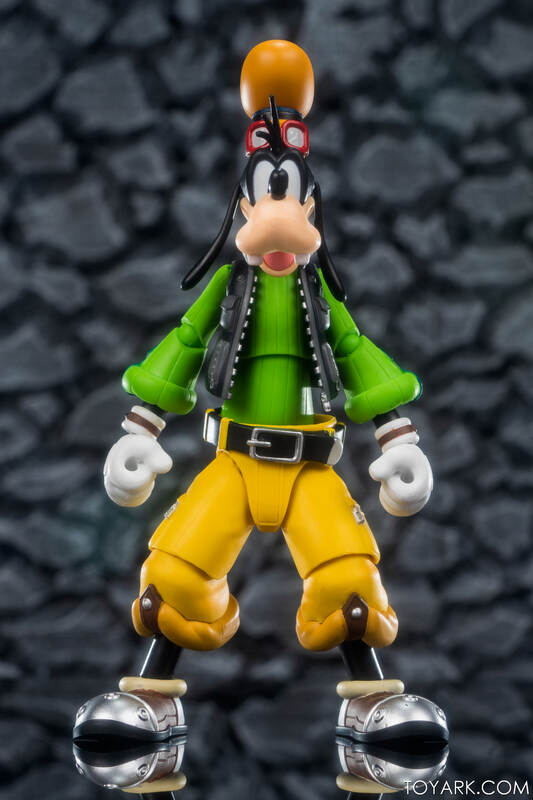 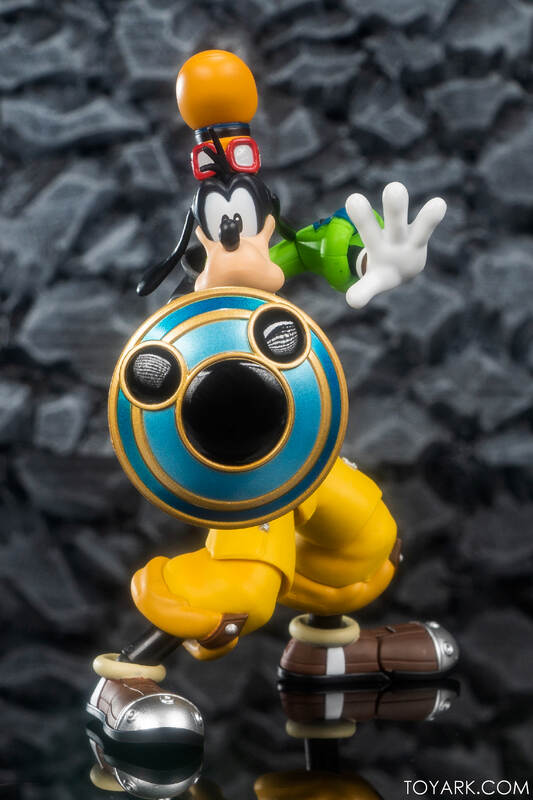 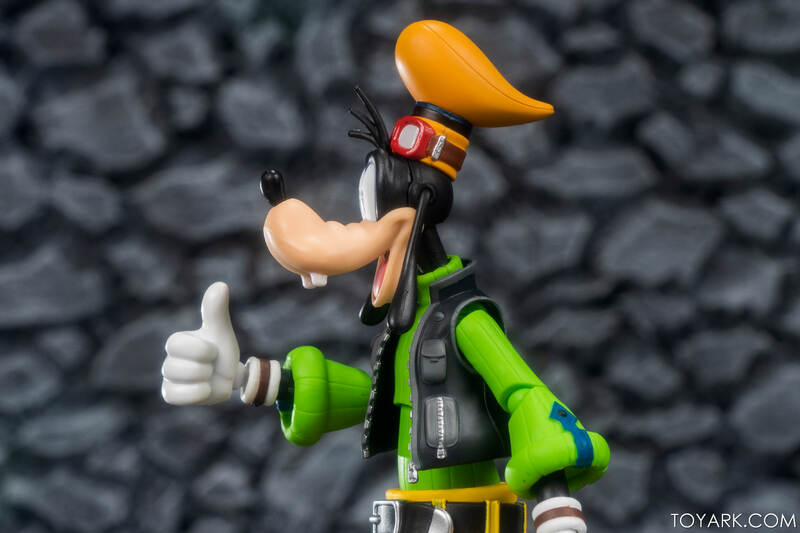 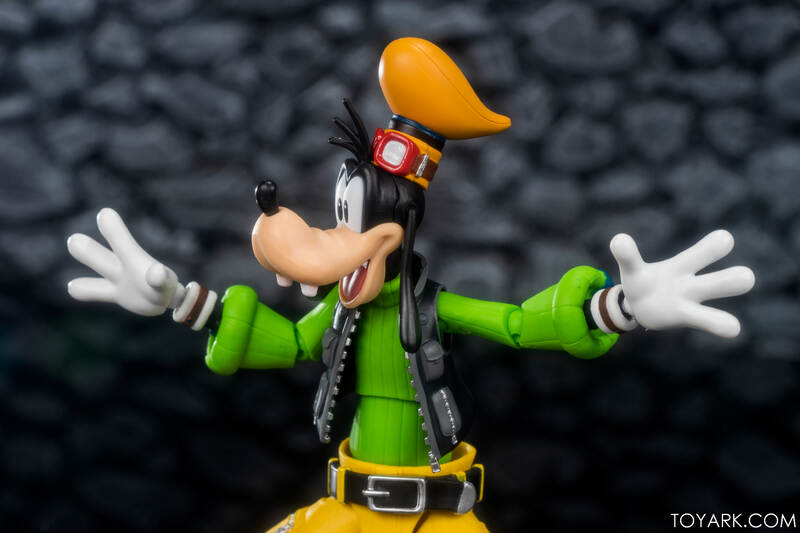 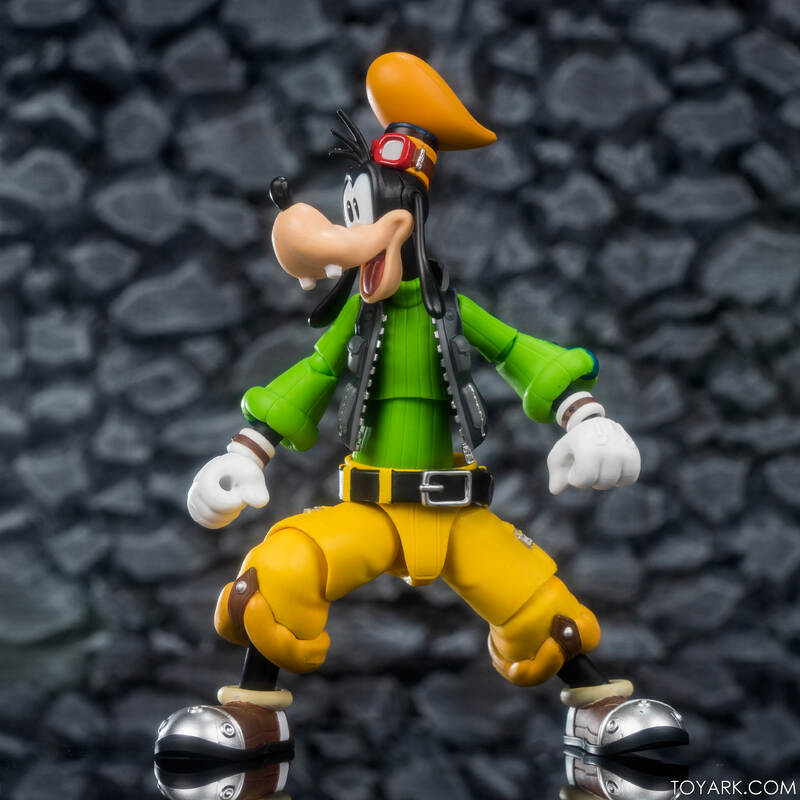 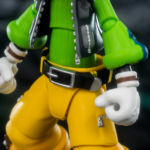 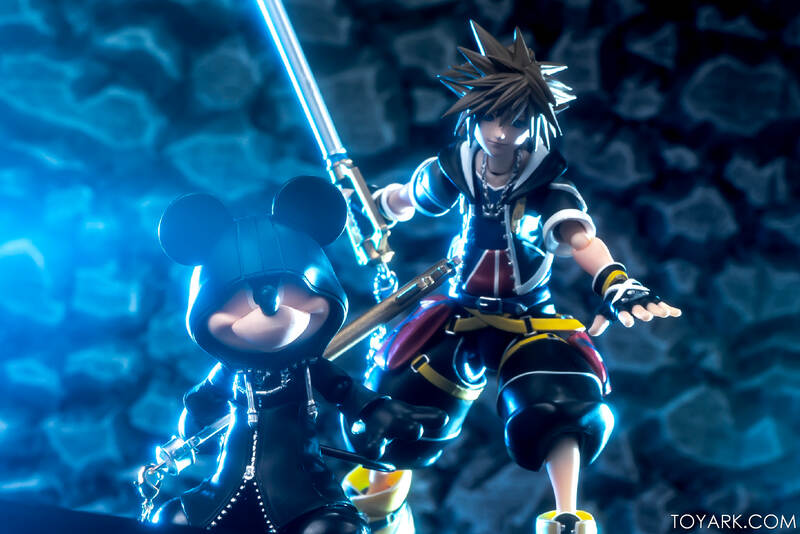 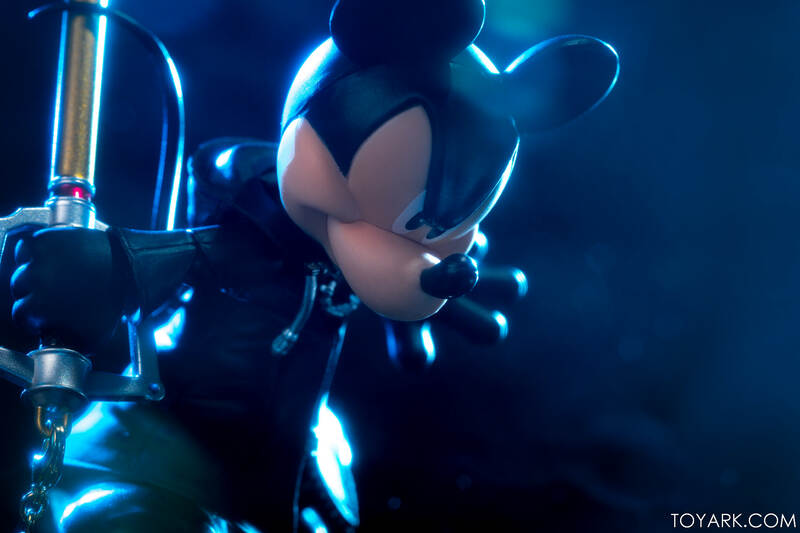 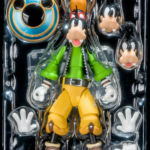 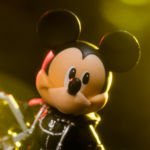 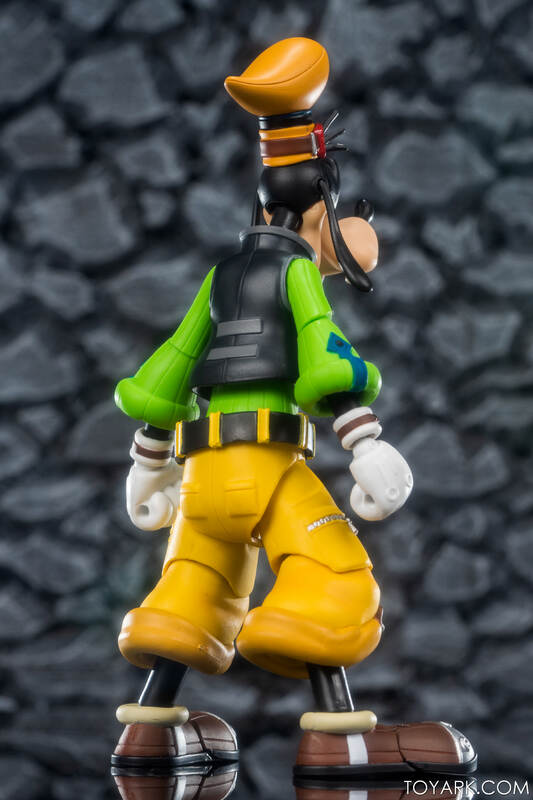 Figuarts figures – Mickey and Goofy! 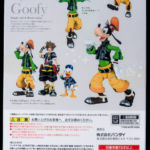 They join Donald and Sora which we looked at back in January. 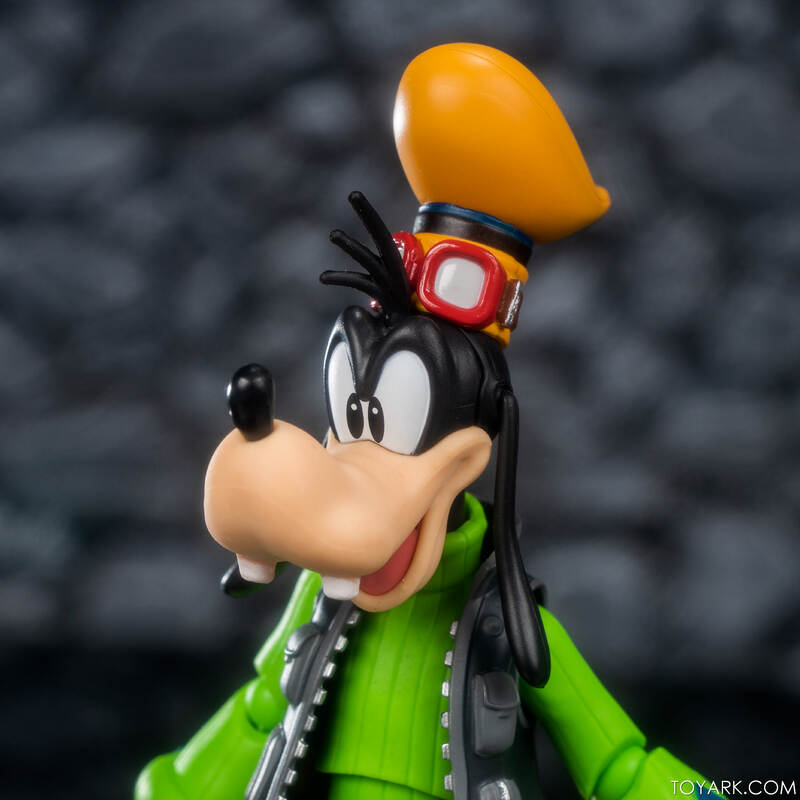 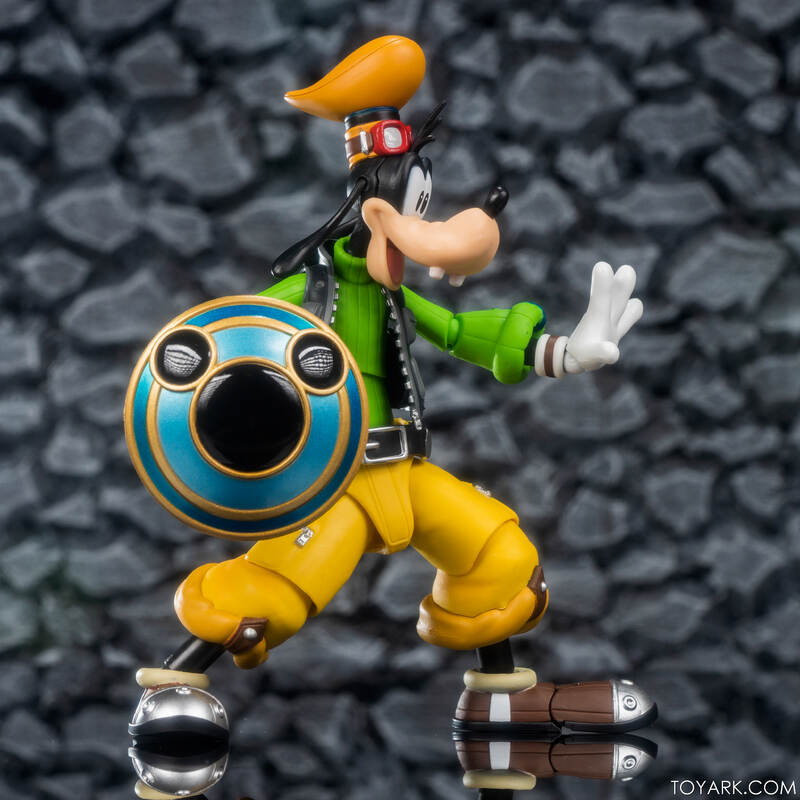 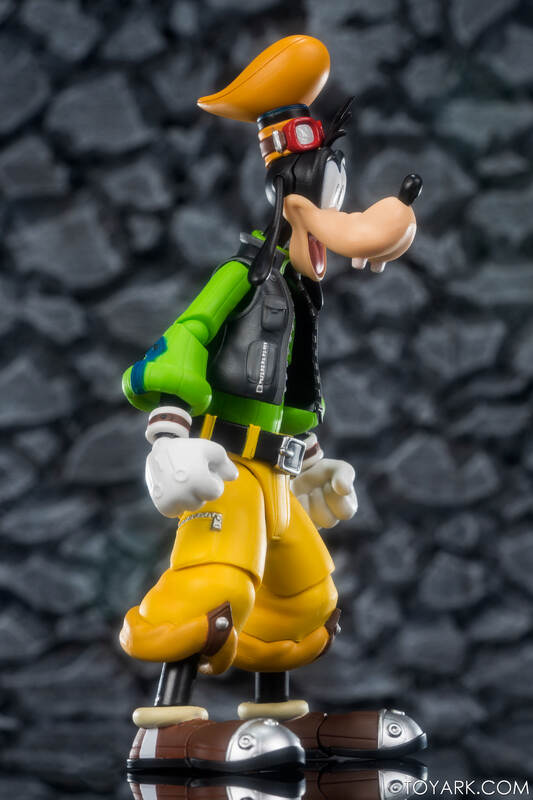 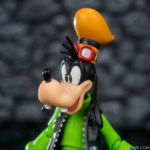 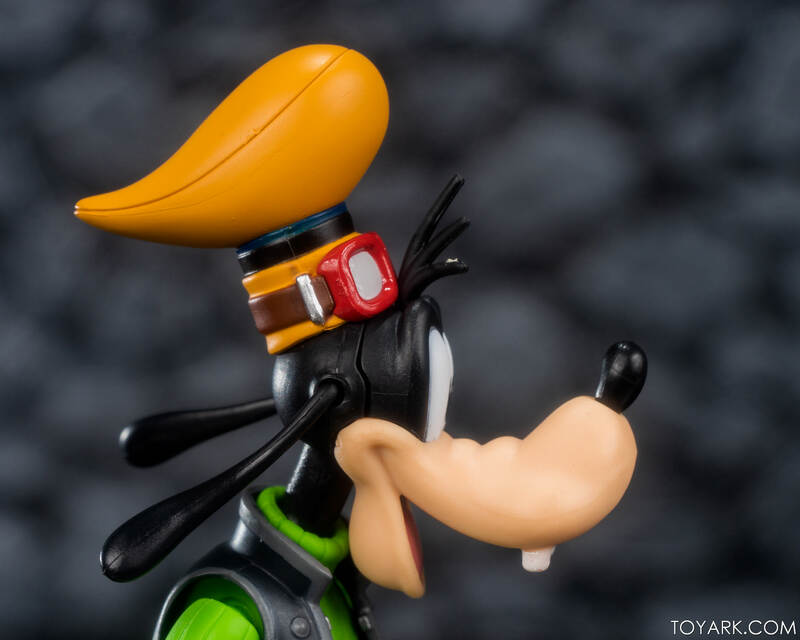 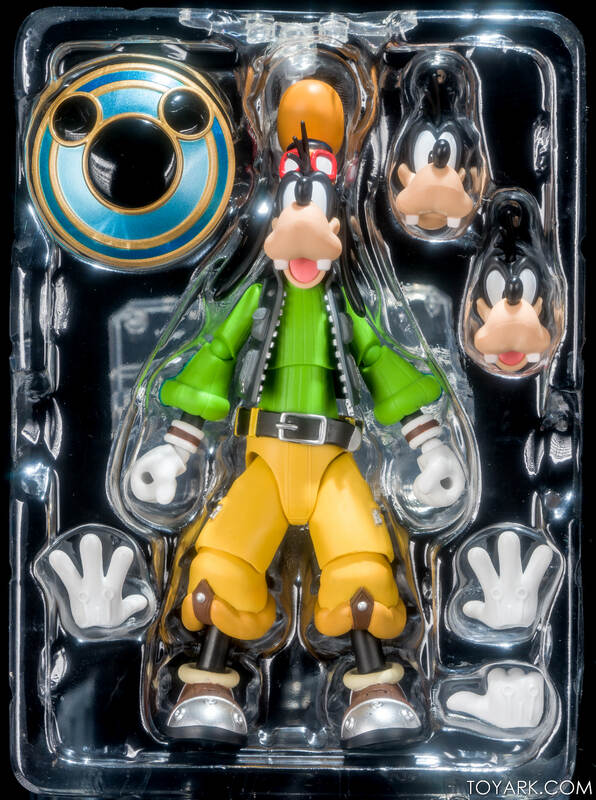 Goofy comes packed with his shield, multiple facial expressions and extra hands. 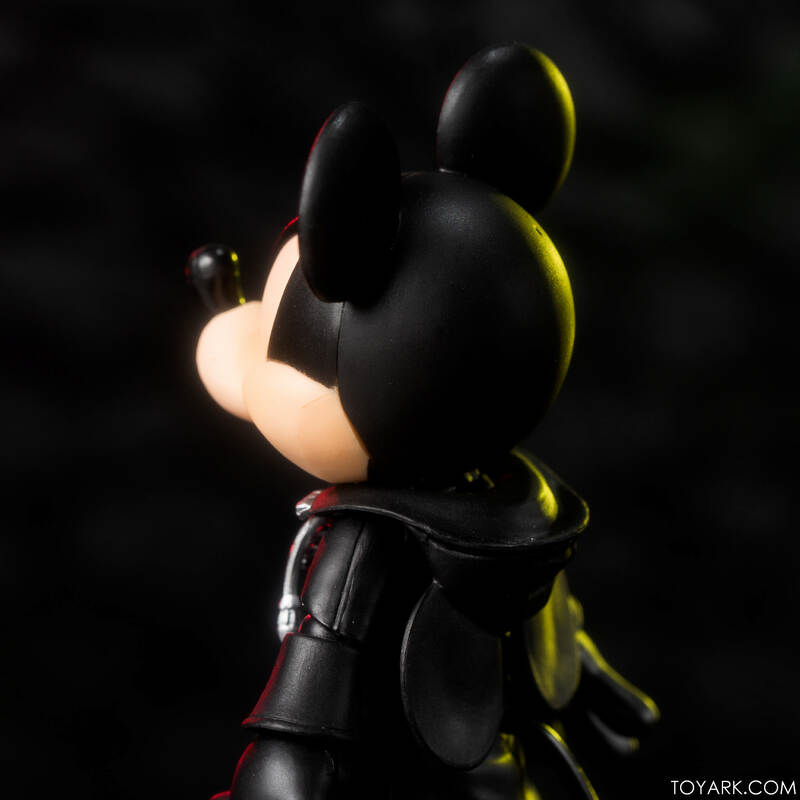 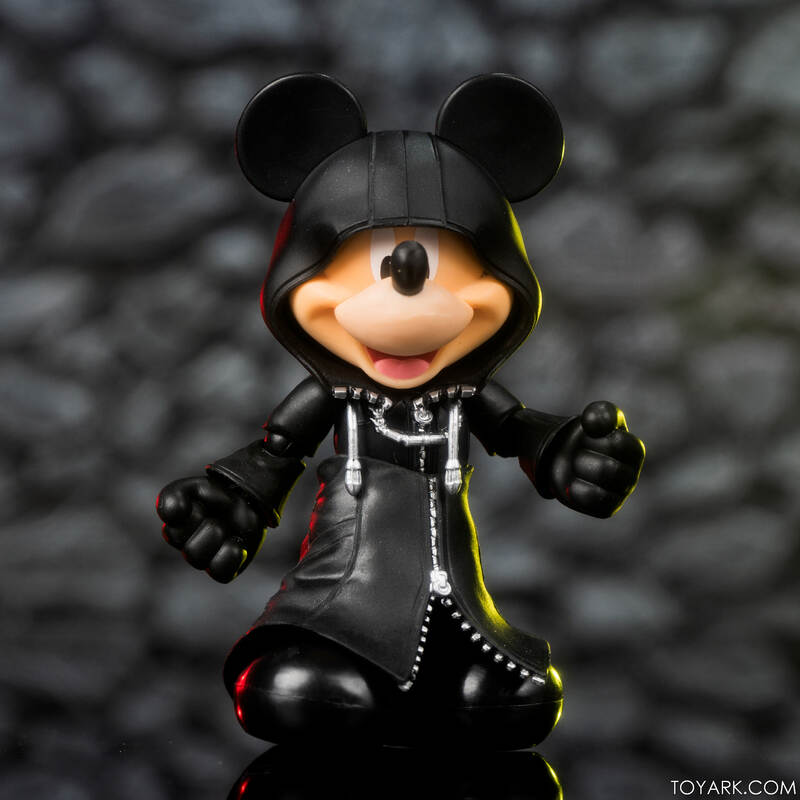 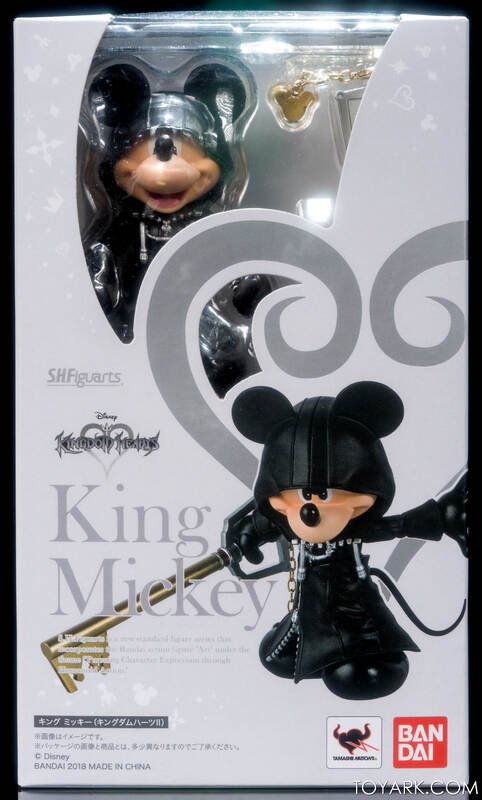 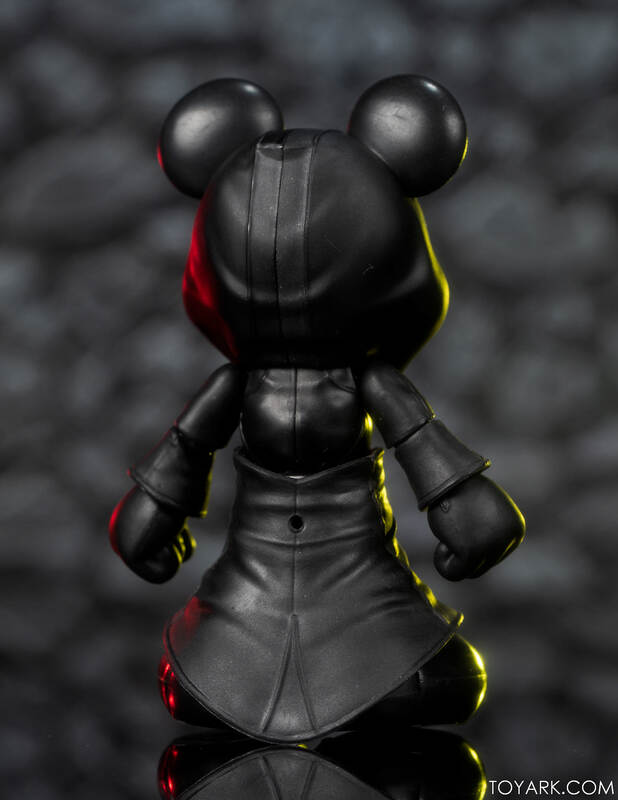 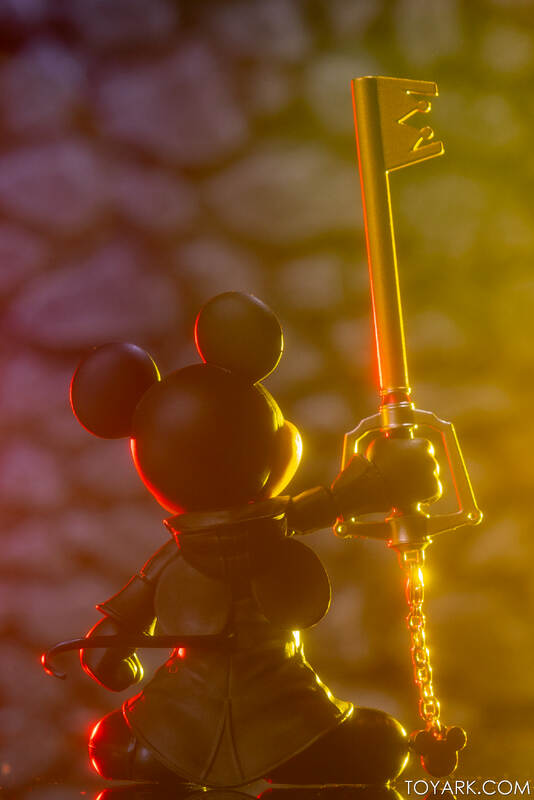 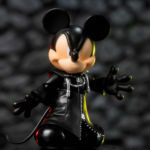 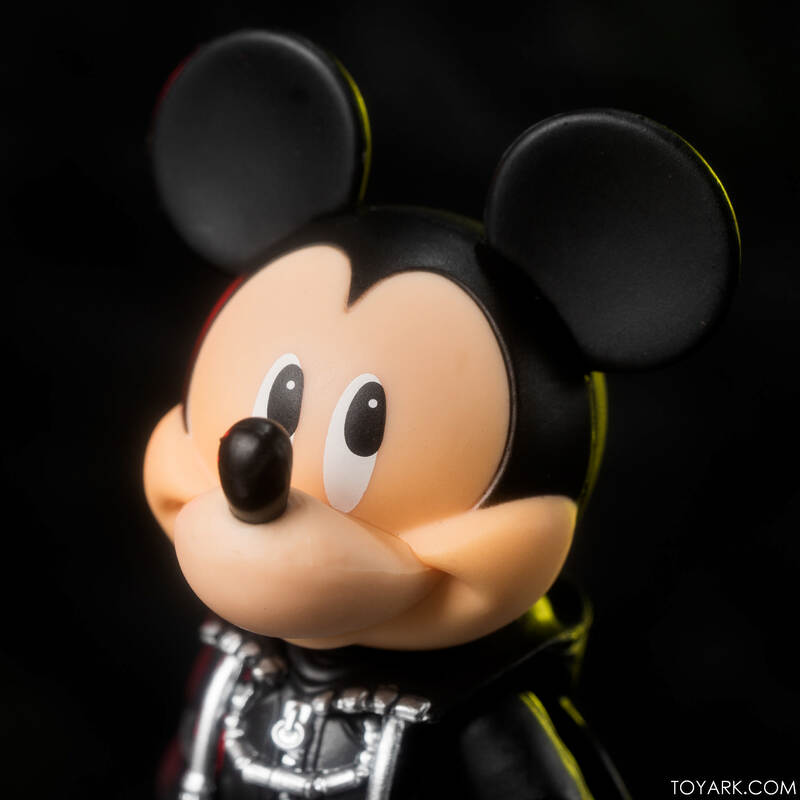 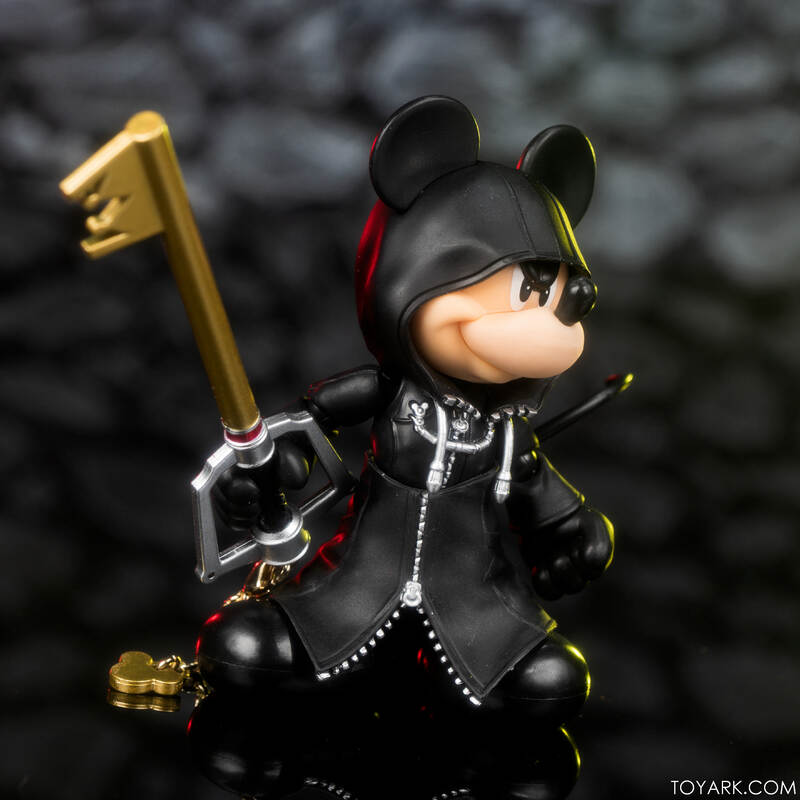 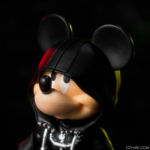 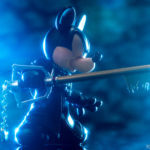 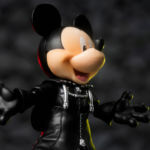 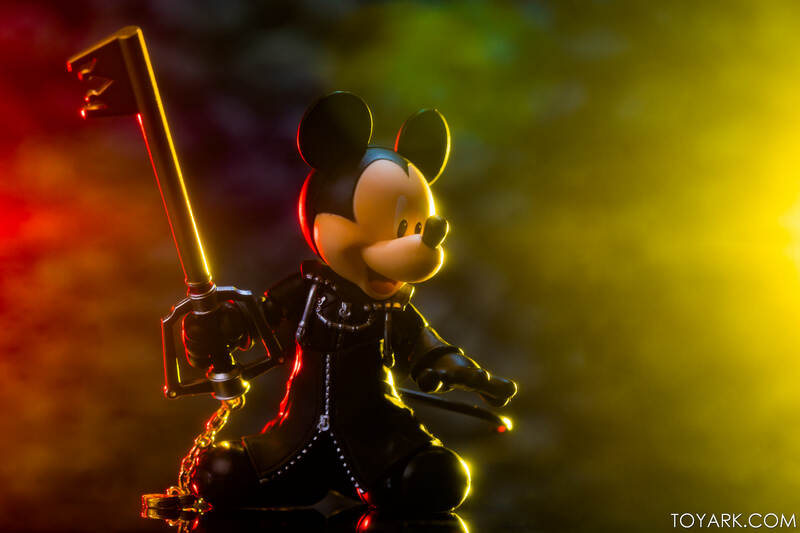 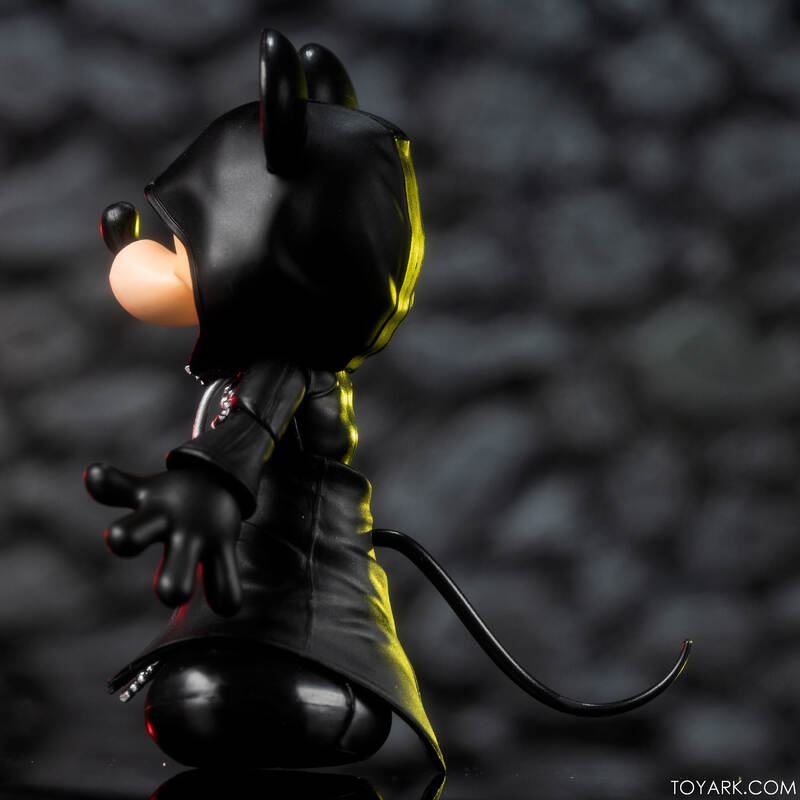 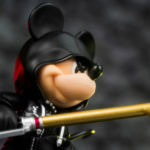 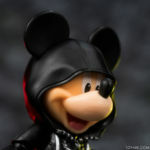 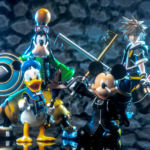 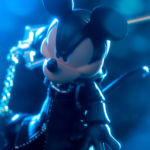 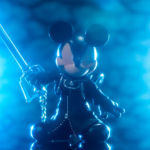 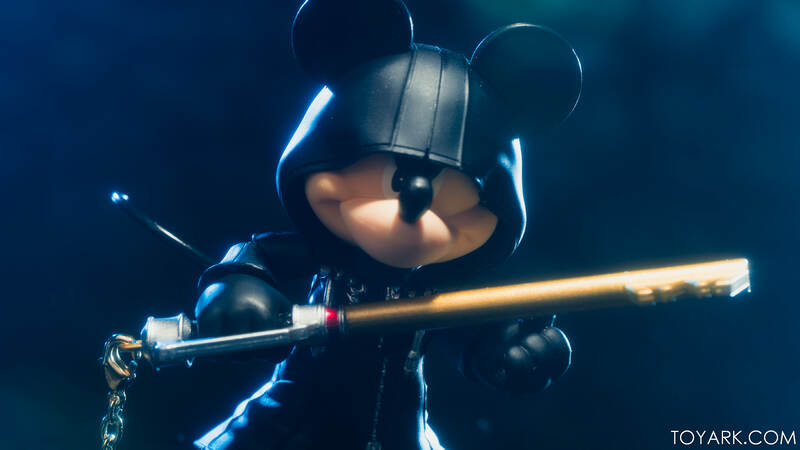 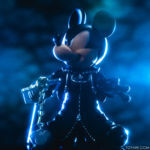 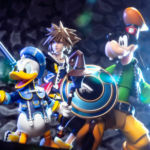 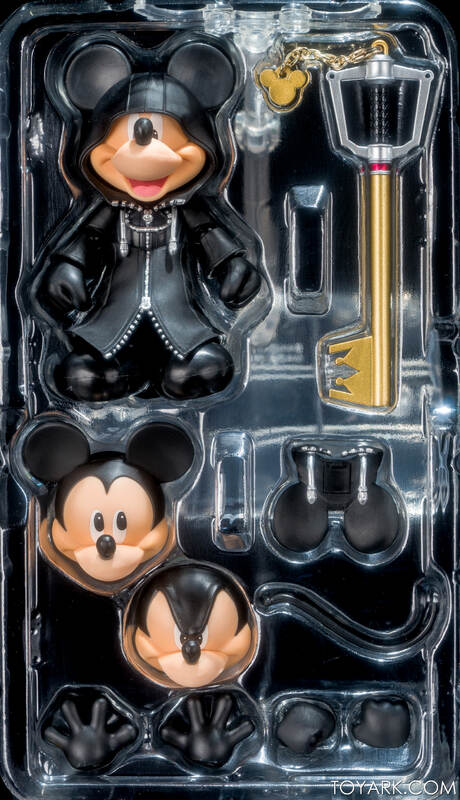 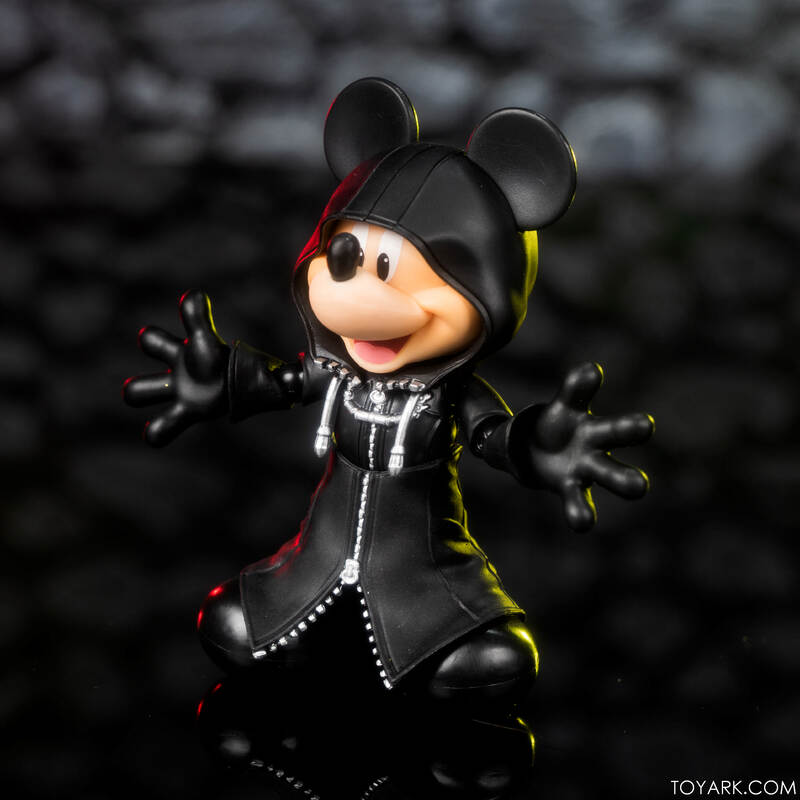 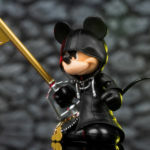 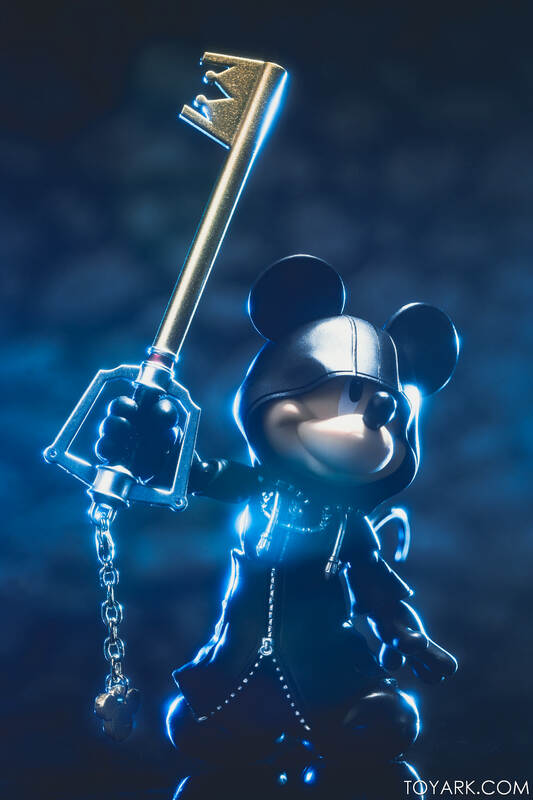 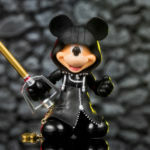 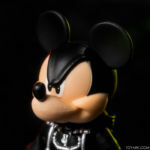 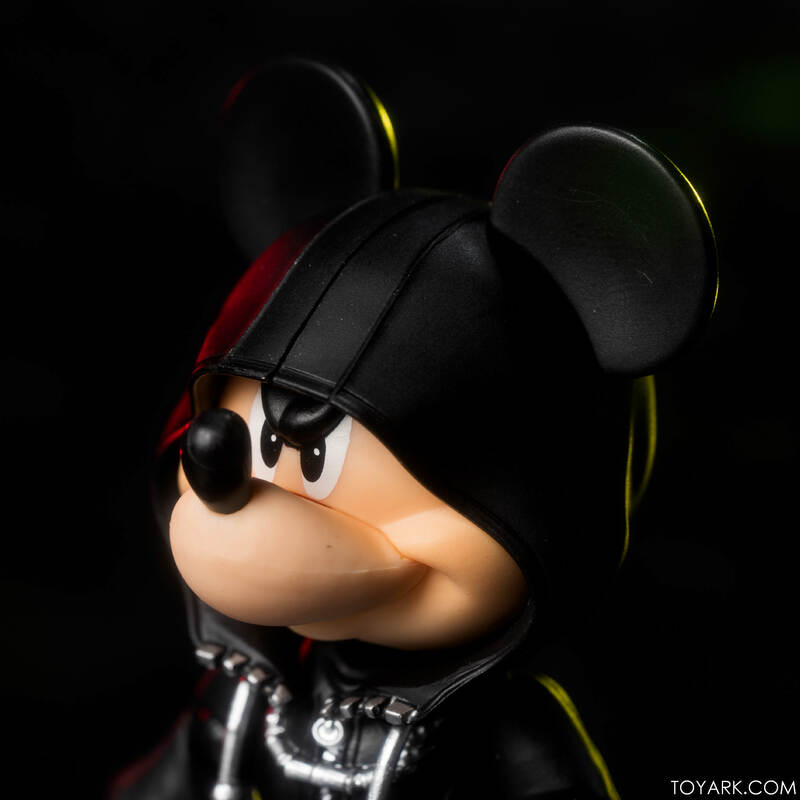 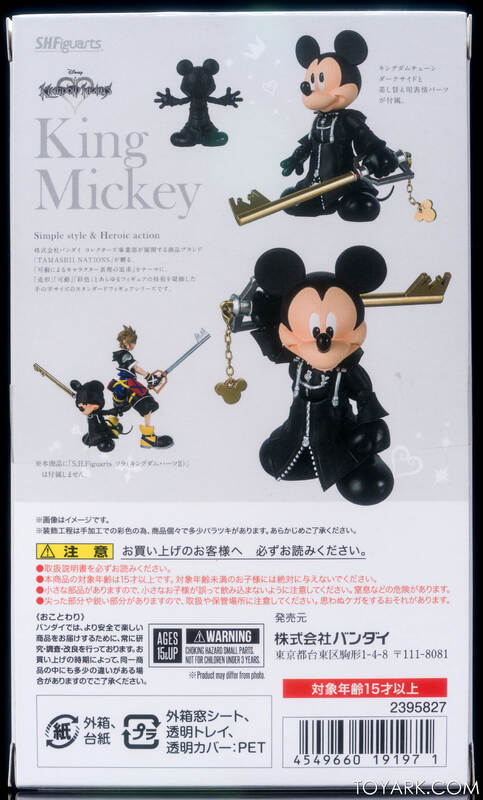 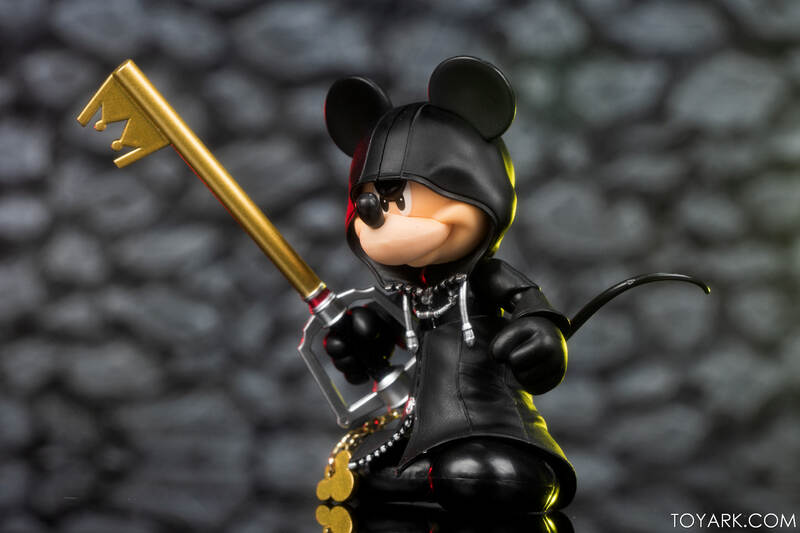 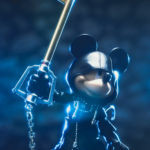 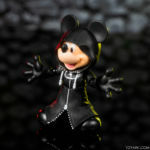 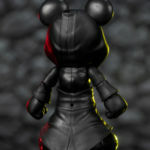 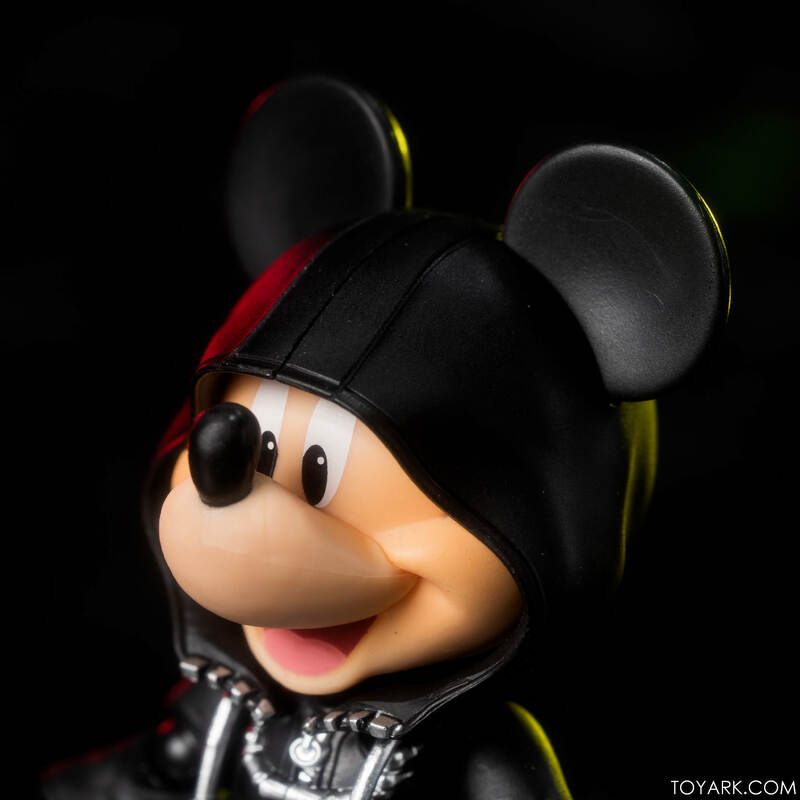 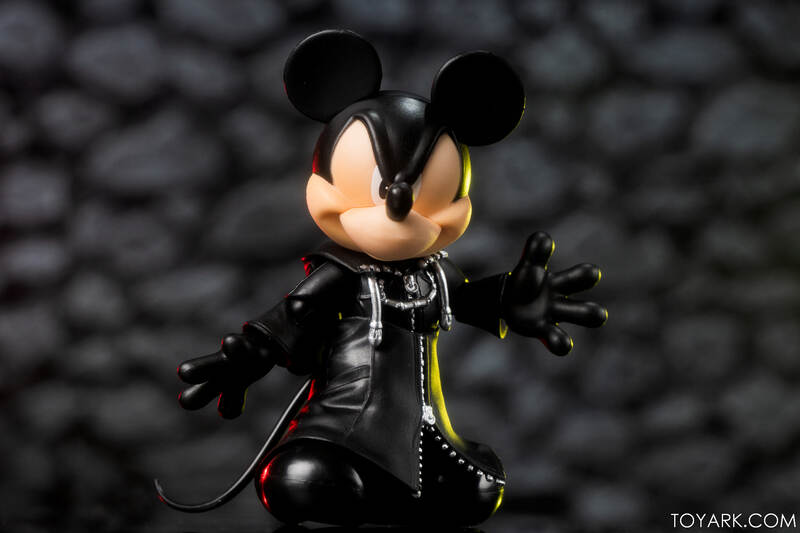 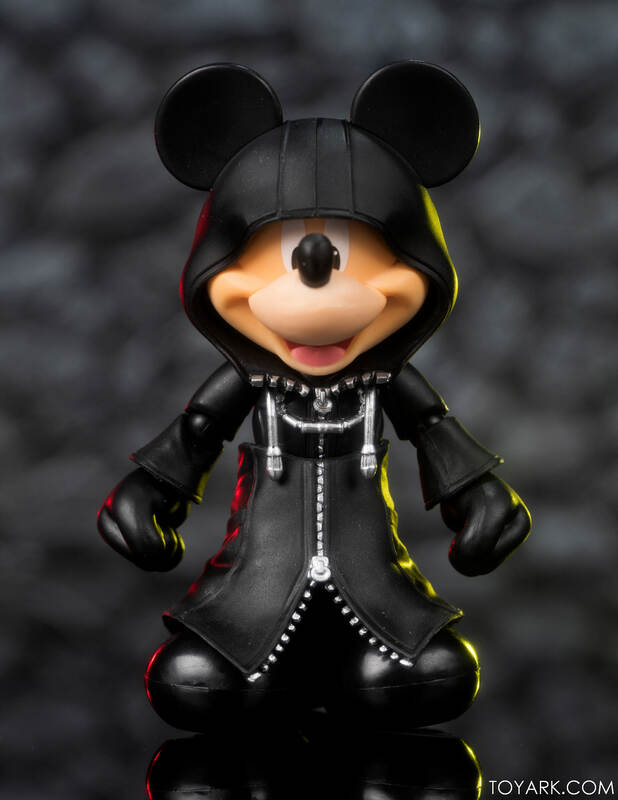 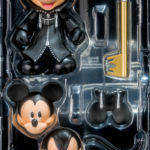 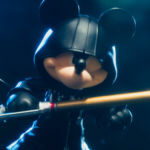 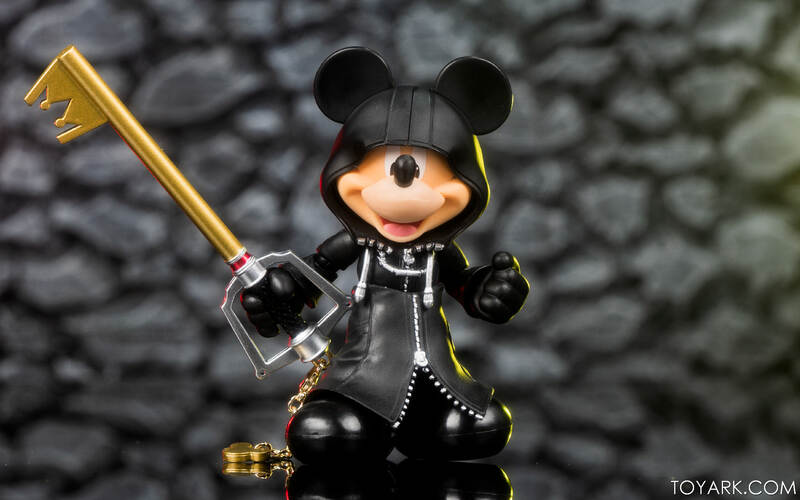 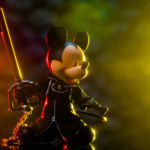 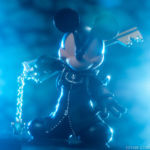 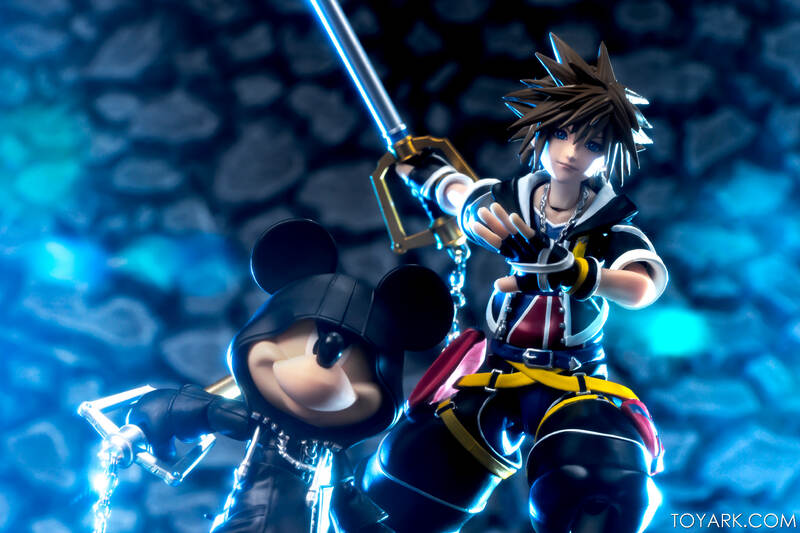 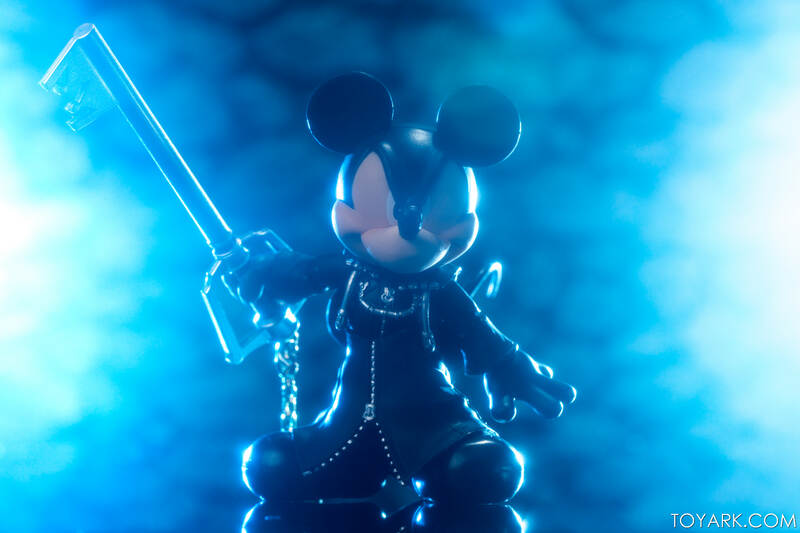 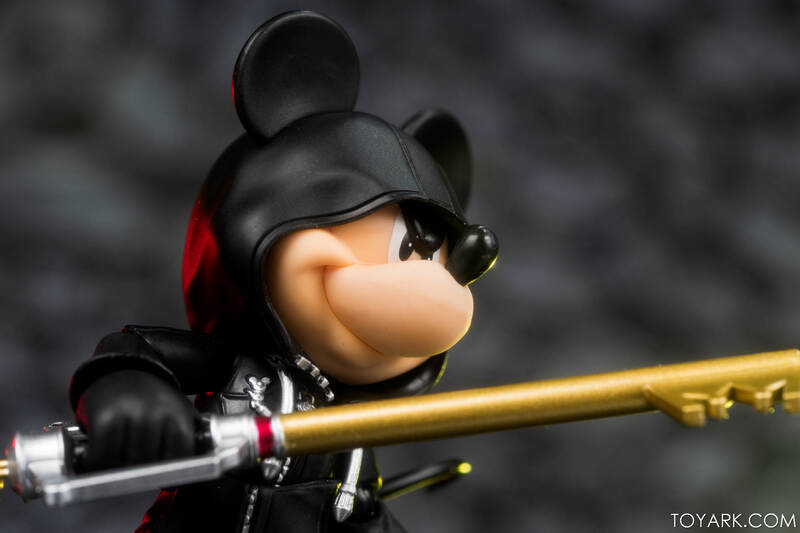 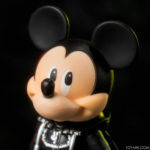 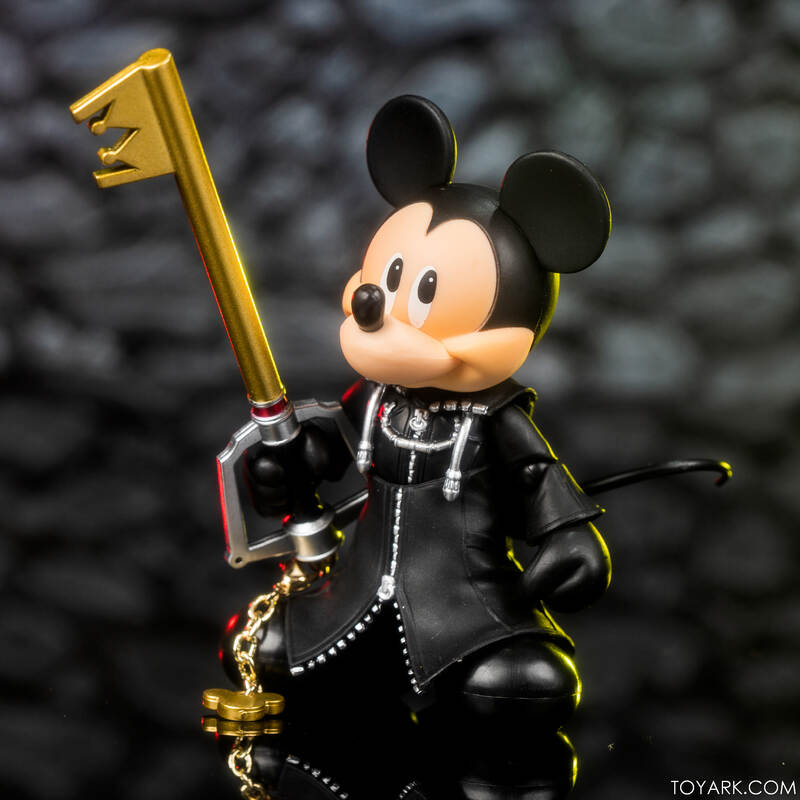 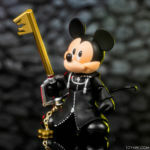 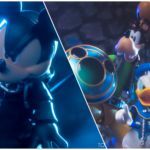 Mickey is in his cloaked King Mickey outfit and comes with multiple faces, hands, and the Keyblade. 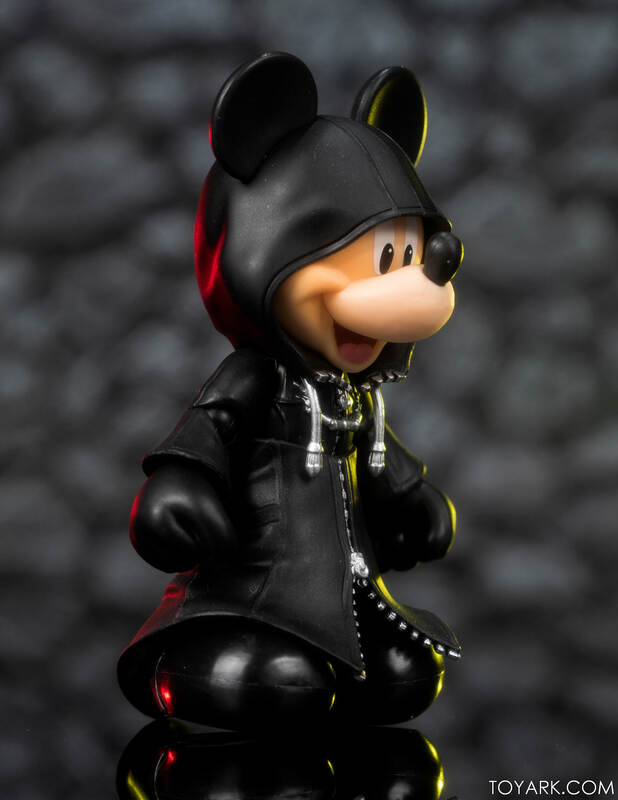 He also has pieces so you can display him with hood up or down. 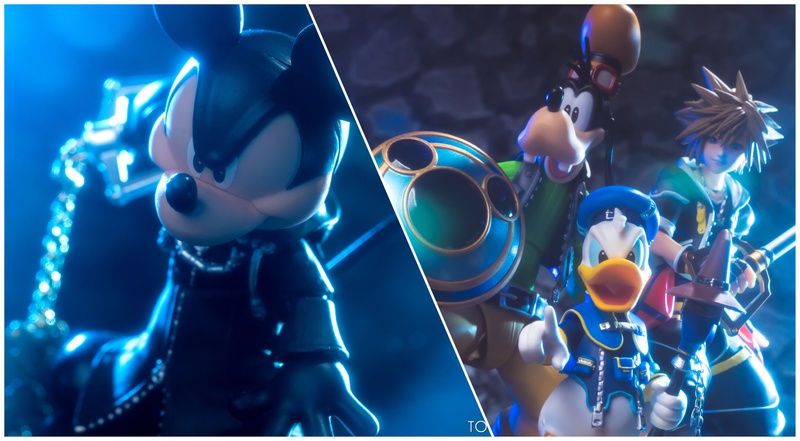 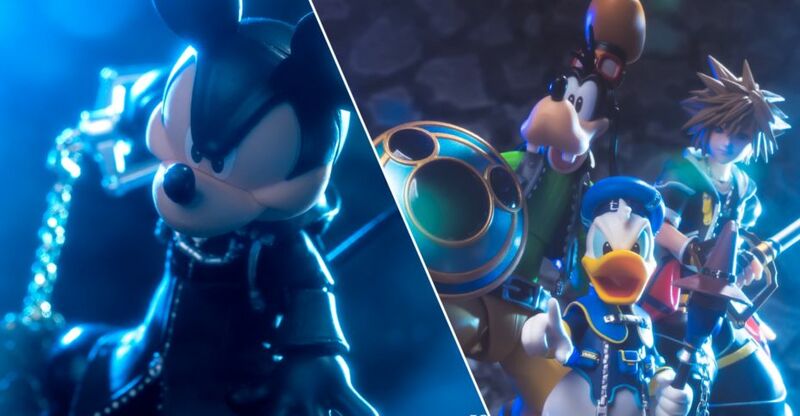 Both are well done, in scale just like Donald and Sora. As a group, all four display great on the shelves and allow for a wide range of posing options. 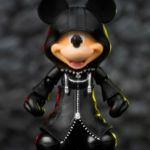 Mickey is a tad limited due to his short nature and long cloak, but still has articulation throughout. 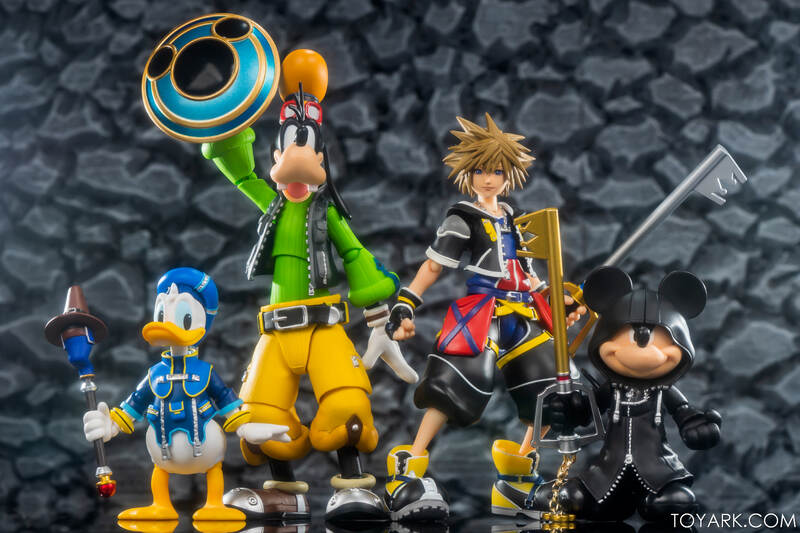 These guys are out in Japan, and have started hitting US retailers. 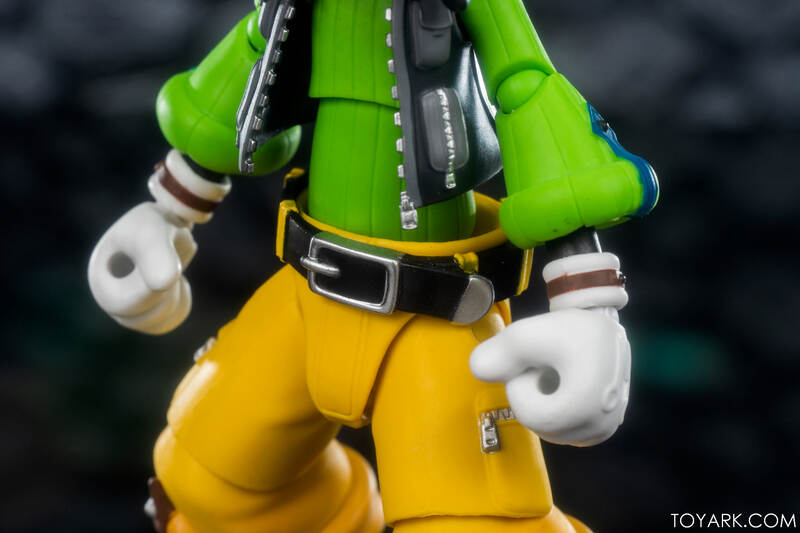 Check out some in hand shots after the break courtesy of Bluefin Brands! 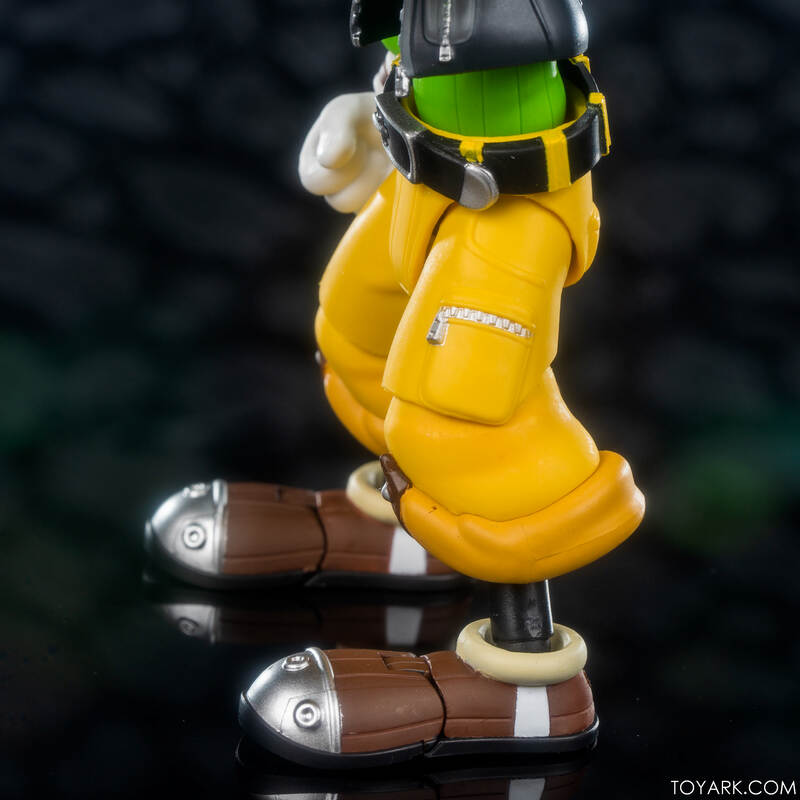 im a sucker for Duck figures, dont know why? 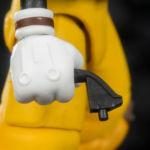 Cuz it's Donald Duck! 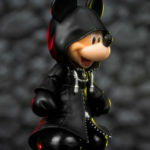 I was happy to play around with him myself, and I'm usually not a Disney proper guy. 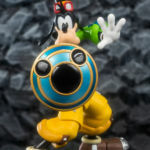 Oh lol! 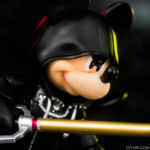 I misread that. 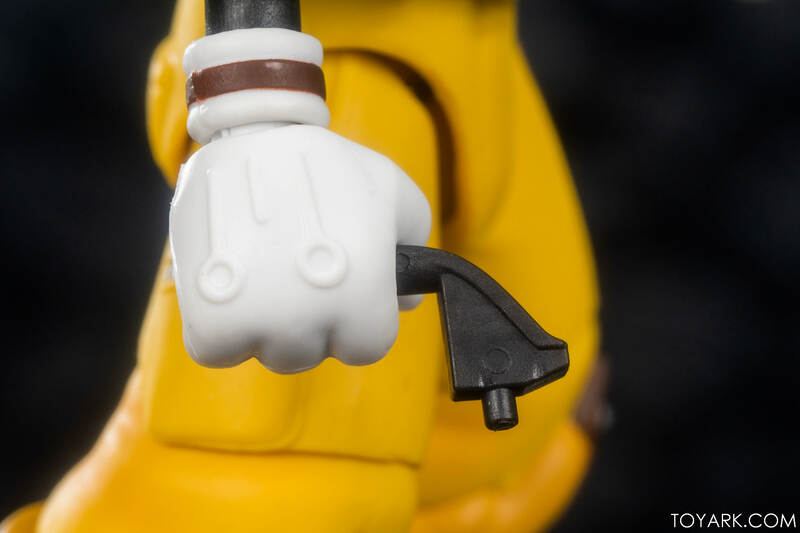 Well, I don't got an answer for your particular duck fetish then. 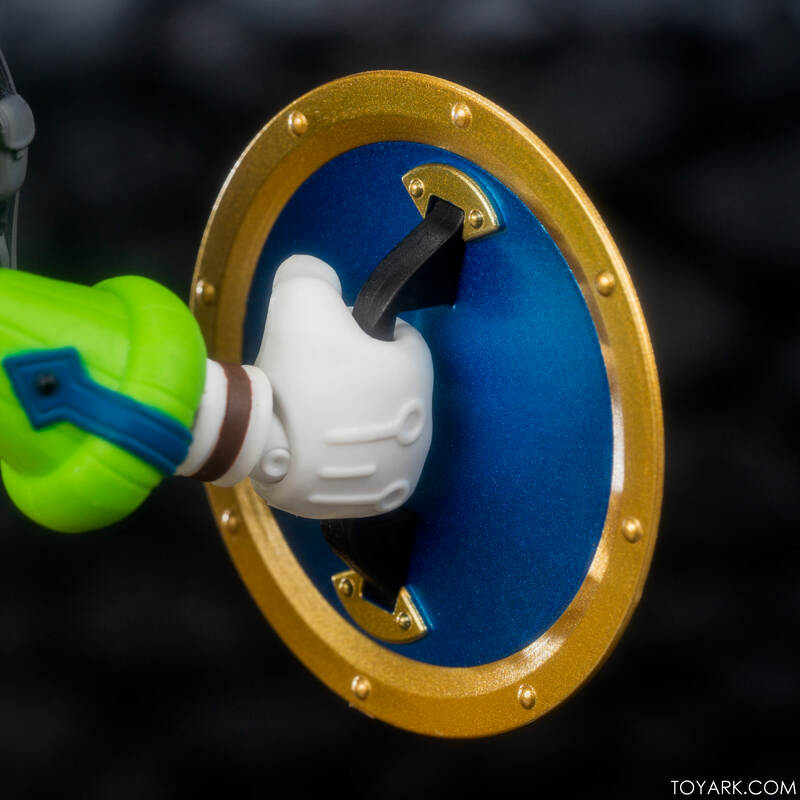 Can't wait for these. 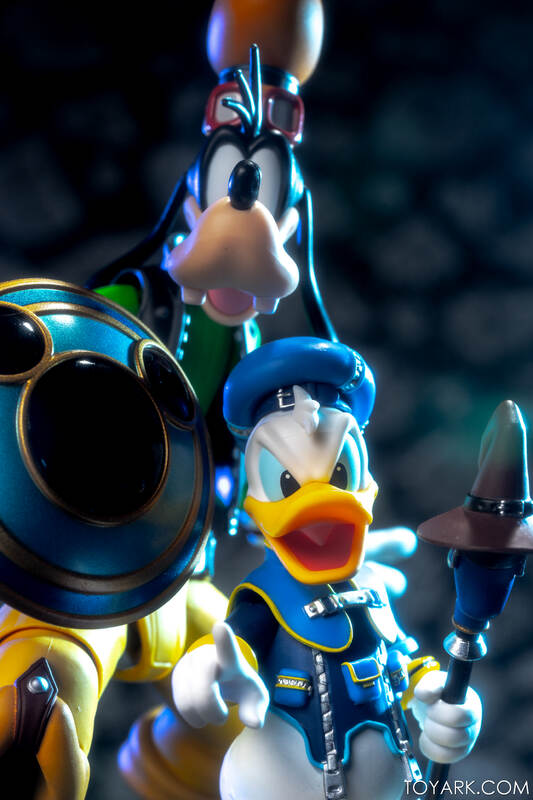 Quick question: How big is Donald compared to the Disney Afternoon Scrooge figure? 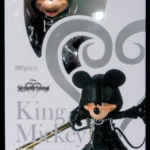 Thanks for the pics, I for one am glad they are in scale. 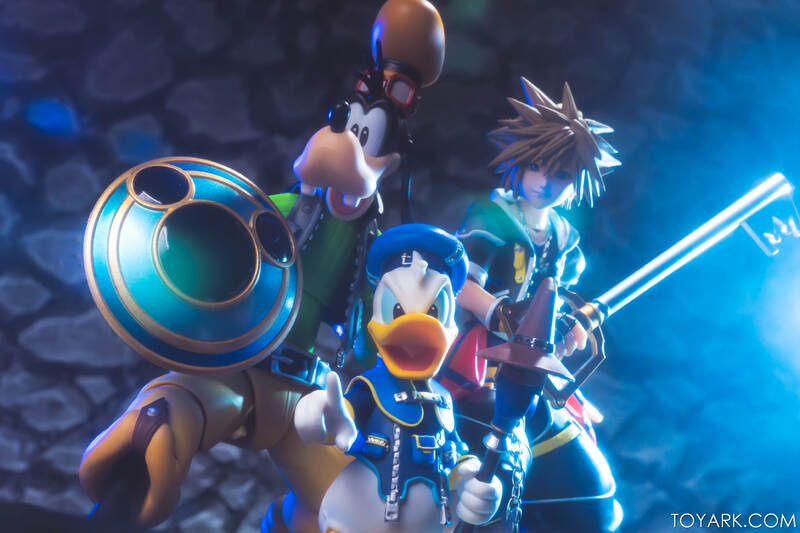 speaking of scale, my biggest disappointment with the Square Enix Kai figures is the large size and inconsistent scale (a scale which seems to change with every wave.) 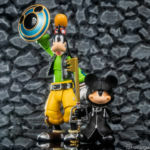 I'm glad Bandai is giving us 4 core characters all in proper scale with each other. 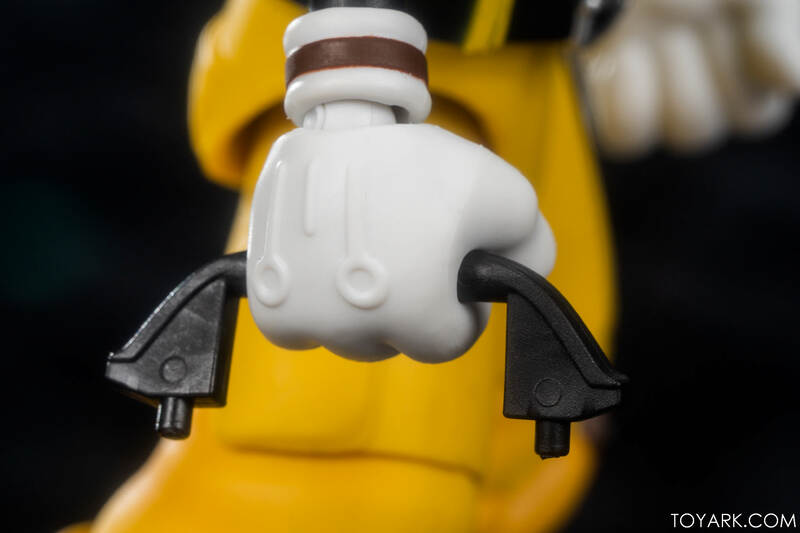 As a kid, I loved Donald, so very tempted! 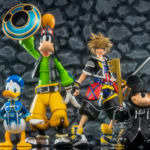 speaking of scale, my biggest disappointment with the Square Enix Kai figures is the large size and inconsistent scale (a scale which seems to change with every wave.). 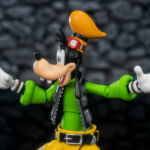 Most of my figures are PAK, and that is really an issue for me too! 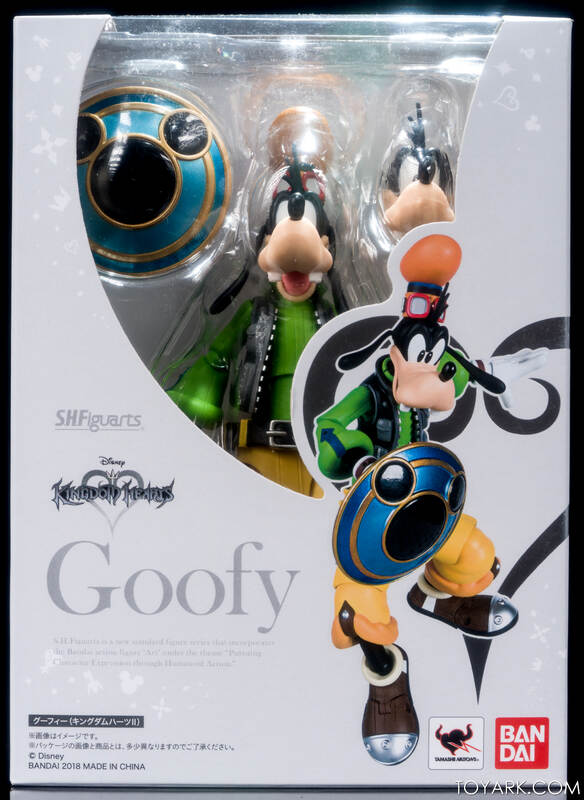 I just end up grouping them in the cabinets by height. 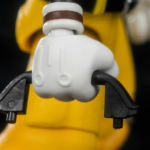 I also have the same issue with figma. 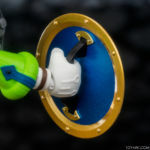 I recently got DOTA 2 windrunner and she was much smaller compared to my Samus. 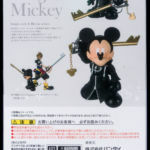 Then I have Yui Takamura who is larger than both of them. 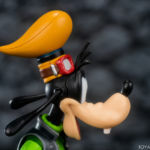 So it�s definitely annoying. 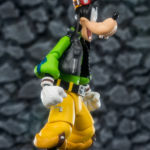 Woah!!! 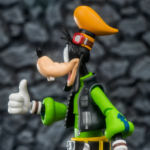 Some awesome pics there Tony! 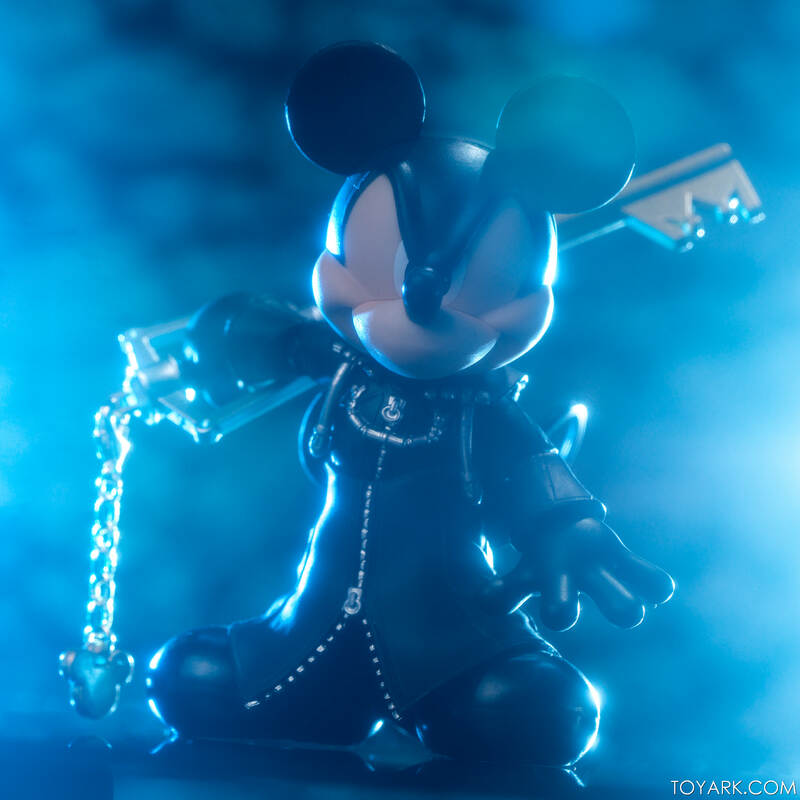 Love the lighting!! 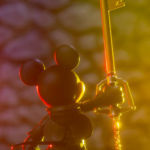 Some of those shots look like they were from a CGI movie !! 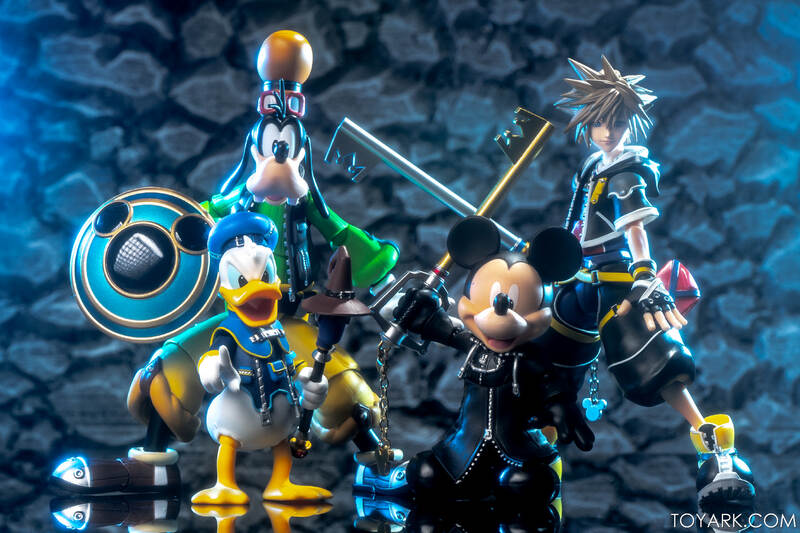 The figures look super awesome too! 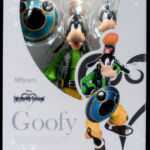 Makes me want to consider getting them now haha!